Not one to limit icebox cookery to merely cake, I also prepared the dough for Butterscotch Icebox Cookies this past weekend. "There's a brown out in the kitchen," I called to DH, who was upstairs, busy at work on his memoir (soon to be a book and major motion picture, I hope). He thoughtfully shut off our one window air conditioner so I could continue baking, all the while shaking his head in disbelief that in this 90+ degree heat and high humidity, that the oven could triumph over a cool bedroom. The idea behind icebox cookies is that one keeps the dough in the freezer and, at just a moment's notice, homemade cookies can be served hot from the oven. 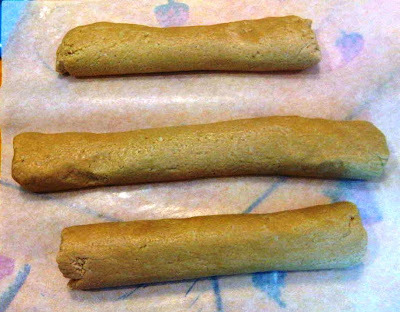 The dough is rolled into logs, the precursor to all those commercial slice-and-bake cookie dough products in the supermarket. For those of you who can avoid temptation, please try these and do add some grated coconut to the batter for added flavor and texture. I used unsweetened coconut, figuring that the sweetened product would have sent my tasters into a diabetic coma. These are simple cookies, which reflect the era from which they emerged. They're almost the opposite of today's popular cookies, packed with all sorts of yummy ingredients, like the fabulous Compost Cookies from Momofuko, which are over-the-top concoctions of pretzels, potato chips, Rice Krispies, lots of butter and chocolate. While I adore these new fangled cookies, sometimes a simple cookie is best. 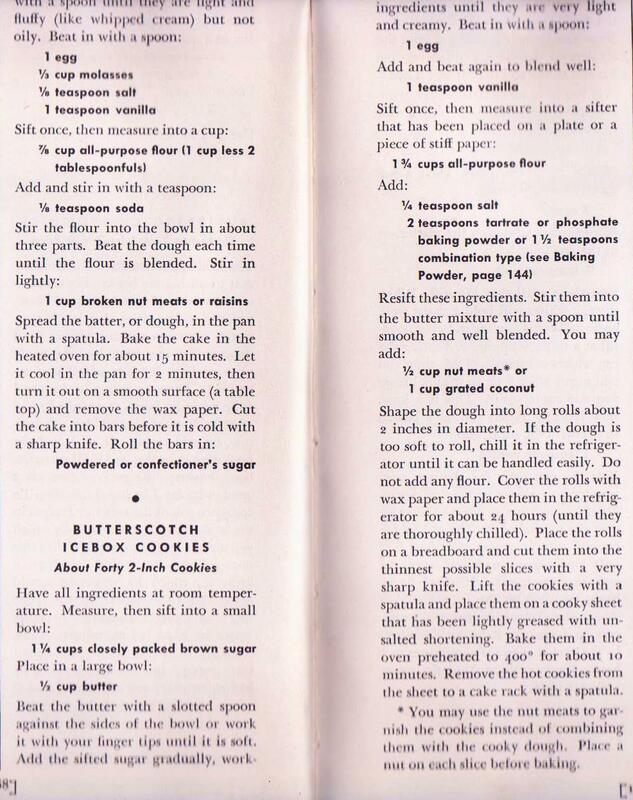 The recipe I used, below, is from the Cookbook for Girls and Boys by Irma S. Rombauer and published in 1946. *I just read this morning that Con Ed reduced power to several New York City neighborhoods last night, including my own, so it was more than just the window air conditioner that caused the brown out. **My attempt at the South Beach diet only lasted five hours -- I caved yesterday when a colleague offered me a Compost Cookie. i can't say i shut off the AC in a completely 'thoughtful' way. let's just say there was some grumbling...but the cookies were good!